Cartoons are the ultimate in ephemeral disposable art. We’ve all read the Beano, seen a Disney movie or paused to take in a political cartoon in the newspaper but few of us have cartoons on our walls and museums and galleries generally devote little space to them. The tiny Cartoon Museum lurking round the corner from the mighty British Museum is the exception. The Junior CW’s and I made the most of an inset day and headed off to check it out last week. You enter (and exit, naturally) through a well-stocked shop, if you want to buy anything even vaguely connected to the art of cartoons this is the place to head. Even as you step over the portal the sounds of “Spitting Image” playing on a continuous loop hits your ears. The 80’s satirical puppet show is the subject of a special exhibition until June 8th. Puppets and stills from the show are on display as well. For me it was a welcome stroll down memory lane but whilst my boys were fascinated by the puppets, they didn’t know who all the politicians were from before they were born. The next special exhibition is off political cartoons from the First World War era, oddly history lessons will probably make that a more accessible topic for children. The permanent collection is divided into two parts; political cartoons and comic books. 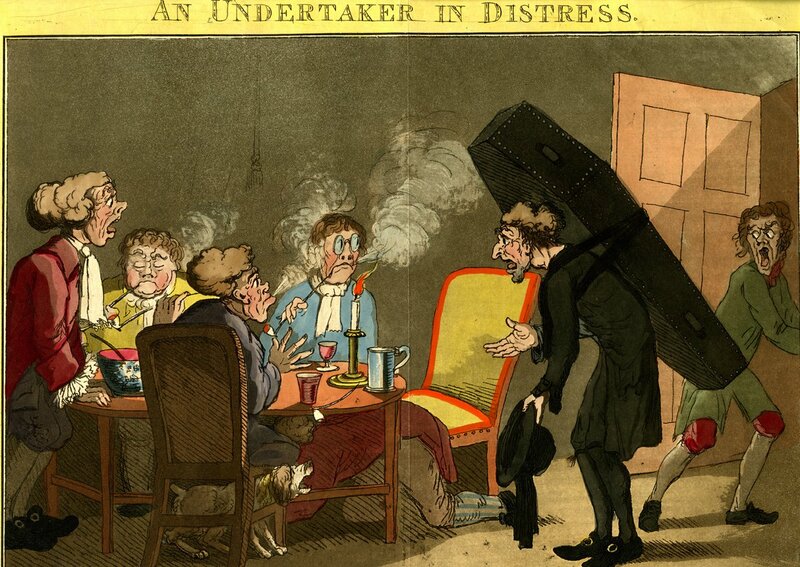 Downstairs traces the development of cartoons from the eighteenth century when artists like Hogarth and Gilray were either appearing the many new fangled newspapers that were beginning to appear or producing editions runs of their own prints. Magazines, like Punch, proliferated in the Victorian era they used cartoons to make jokes as well as political comment. The display continues with many images from the second world war right up until the present day with comments on Guantanamo Bay by Chris Ridell from the Observer. Upstairs takes a look at cartoons for young people, starting with the publications like the Boys’ Own Paper in 1884. 1937 and 1938 saw the creation of those two great rivals The Dandy and the Beano, what amazed me was that staples such as Minnie the Minx, Denace the Menace and the Bash Street Kids didn’t make their appearance until the 50s. 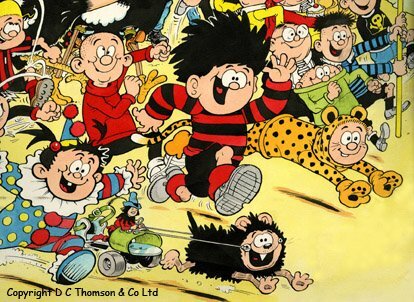 Comfy chairs and piles of copies of the Beano make for an appealing pit stop and to contemplate the ephemeral nature of the cartooning business. 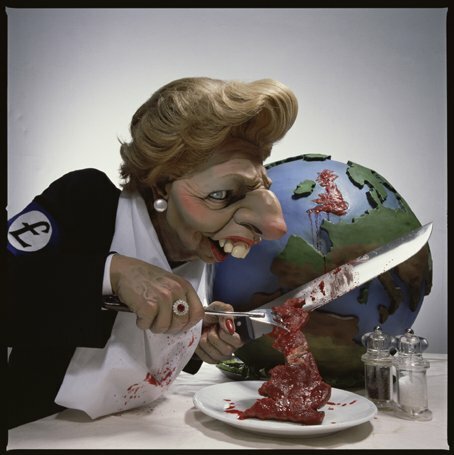 Spitting Image failed to hold my children’s attention because they didn’t recognise the people or the situations being lampooned. 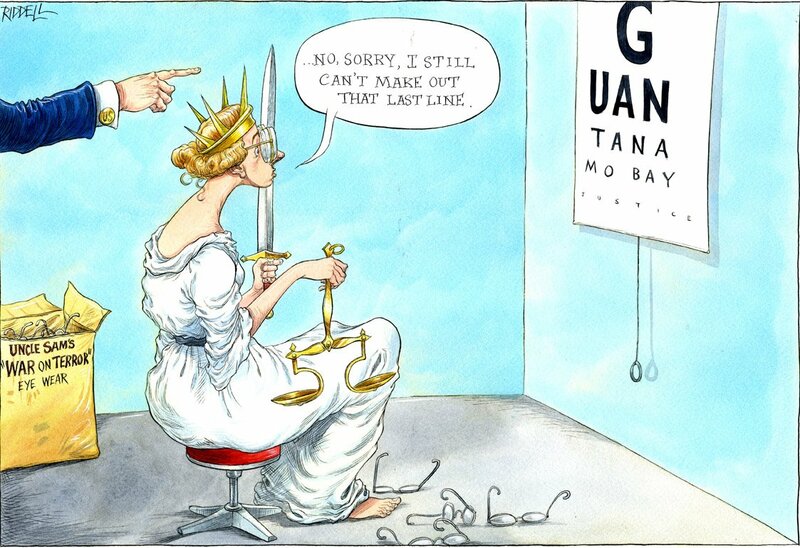 Once issues have faded into history, and been deemed worthy of remembrance, old cartoons once more become recognisable. School history books are often illustrated with contemporary cartoons, photographs being thin on the ground in the eighteenth century! Whilst the Cartoon Museum might not be worth a trip to town on its own it is well worth putting aside time for it, especially as it is only a short hop away from the British Museum. When with the Junior CW’s Russell Square is our favoured picnic spot and its excellent Café in the Garden does a splendid lunch if the weather is wet. The Cartoon Museum is part of the Museum Mile in London, check out my posts about the Foundling Museum and the Charles Dickens Museum that are also in the area.